10am to 1am (Friday to Sunday). OFTEN find yourself picking and trying food off your friends’ plates? 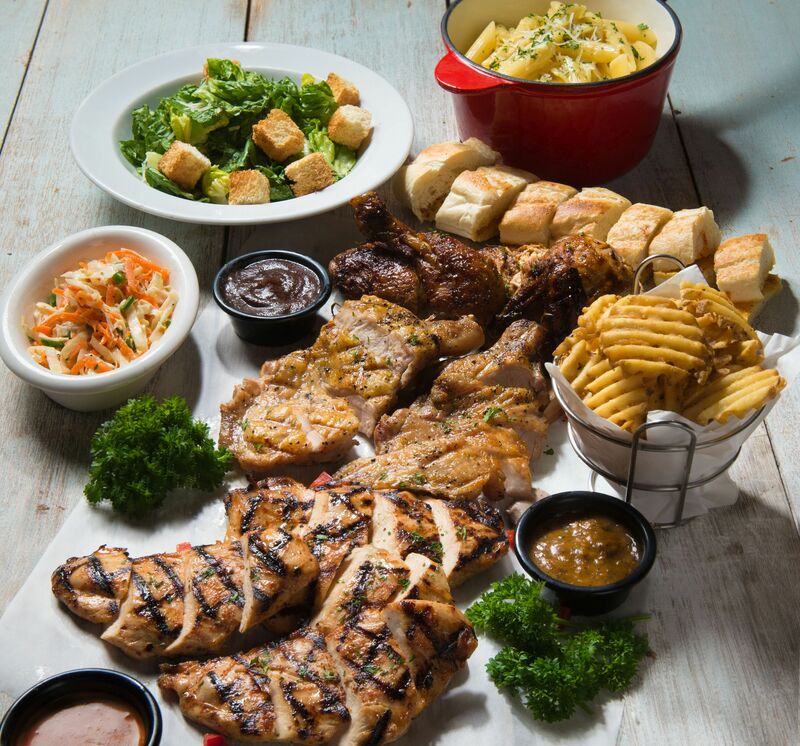 Recognising this Malaysian habit of sharing and trading tastes with each other, TGI Fridays introduced The Platter: a smorgasbord of classic dishes meant to be shared among four. Chaswood Resources group chief executive officer Andrew Reddy said they were inspired by the Malaysian tradition of communal dining known asdulang. “This style of eating, which centres on food served on a large tray with people being able to choose what they want while sharing it, serves as a reminder of simpler times we experienced,” he said. 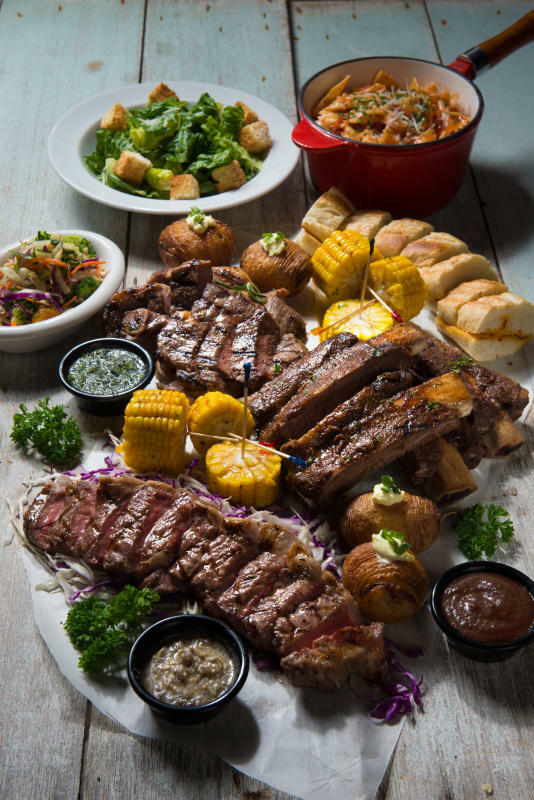 Catering to ravenous carnivores and conscientious eaters, The Platter comes in two versions – The Boss, a feast of red meat from steaks to ribs, while The Chicks Platter has a leaner selection of chicken prepared in three different ways. The Boss lives up to its name with its offering of some of TGI Friday’s most popular mains like the sirloin steak, juicy BBQ ribs and lamb chumps, each accompanied by its signature toppings of wild mushroom butter, sweet Tennessee BBQ sauce and thick mint sauce. The stand outs were the huge beef ribs and the mushroom butter, which gives a boost of savoury fattiness to either the lamb or steak. With four ribs available it also means that unlike Adam, no one needs to give up a rib. The Boss Platter – the new platter that features red meat. But man does not live on meat alone, and accompanying the mains are corn-on-the-cob, accordion potato and a curiously healthy alternative to coleslaw, comprising tiny broccoli flowers, carrots and chunks of dried peach. Meanwhile, The Chicks Platter (top pic) shows that although some mistake chicken as a bland meat, what the poor poultry needs is just a bold choice of cooking styles. Here, the chicken is served grilled, roasted in Tennessee sauce and pan-seared. Heaped along the chicken platter are also waffle fries and traditional coleslaw of raw cabbage and carrots, drenched in mayonnaise. Those familiar with salads will be at home with the mostly oil-free grilled chicken, though those not restrained to a diet would be better off with the plump roasted chicken that comes generously covered in that sweet BBQ sauce. The side toppings are geared slightly spicier with black pepper sauce and srirachacream sauce, in addition to BBQ sauce. While the chicken was not too dry that it needed the sauce, the waffle fries were just begging to be dipped. Ignore what they say on Seinfeld, double dipping is acceptable at this shared platter. Each platter also comes with its corresponding pasta, delivered in a cute, albeit heavy red claypot. For the red meat platter is the red marinara farfalle, with a sour tinge to match the meat. For the leaner chicken, it is the sinfully rich penne Alfredo. Although this writer preferred the latter, each pasta did make more sense with its match. And as each platter is prepared fresh to order, expect a little wait time in between ordering and gobbling. To satiate the starving, the staff of TGI Fridays will dash in with entrees of garlic bread and Caesar salad that come with both platters. If any garlic bread is left by the time the mains arrive, do try making little sandwiches with the mains and mixing up the sauces. The chef of the night said the kitchen had mixed and matched most of the menus to see which of the dishes fit together. Despite that, the fun was still there for customers to pair mains to their non-typical sauces or see which new side dishes they prefer that might not usually come with their favourite mains. And with all things shared comes a shared bill. But between four friends, The Chicks Platter (RM117.50 nett) and The Boss (RM249.90 nett) should not be too much of a strain on the wallet. Just remember to use a calculator to avoid strain on the friendship too.